The overall percentage of vegetarians in the US has remained constant over the past 20 years, but the number of options for vegetarians and people trying to cut the amount of meat in their diet is higher than ever before. Airlines are taking note, and many are upping the number of plant-based options. But just because it’s available doesn’t mean it’s always easy to acquire. 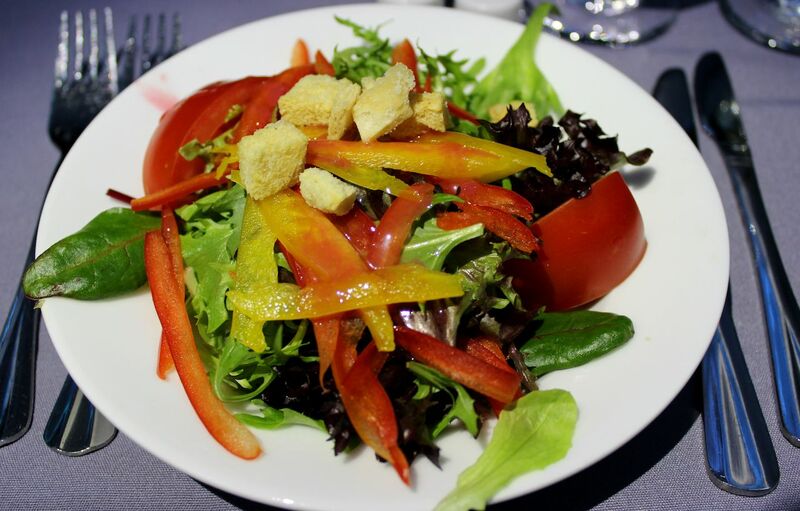 In general, vegetarians, vegans, and passengers with other dietary restrictions still have to jump through hoops or risk going hungry when it comes to finding a meal that fits their diet while flying. Vegetarian meal: No meat or fish. Vegetarian-vegan meal (VGML): No meat, fish, dairy, eggs, or other animal by-product. Stands in for a vegetarian meal as well as vegan. Vegetarian lacto-ovo meal (VLML): No meat or fish, yet may have eggs or dairy. Asian vegetarian meal TransPacific, or called vegetarian oriental meal (VOML): No meat, seafood, egg, or dairy that’s prepared with Chinese, Japanese, or pan-Asian spices. Asian vegetarian meal TransAtlantic, or called simply Asian vegetarian meal (AVML): No meat, seafood, egg, or dairy that’s prepared with Indian spices. Vegetarian Jain meal (VJML): Does not contain meat, animal by-products, mushrooms, or root vegetables like garlic, potatoes, carrots, and onions. Raw vegetable meal (RVML): Raw vegetables only. Fruit platter (FML): Nothing but fruit, and yes, that’s really the code for it. In the best case scenario, you’ll end up with a full meal. In the worst case, you’ll end up with a single piece of honeydew melon wrapped in plastic. When you really want to get into the weeds — photos and all — you can check out AirlineMeals.net, a crowd-sourced site where users have posted more than 45,000 food photos from more than 730 airlines. Before doing that, however, take our advice so you don’t get caught flat-footed. Proper food, after all, is one of the best ways to prevent jet lag. 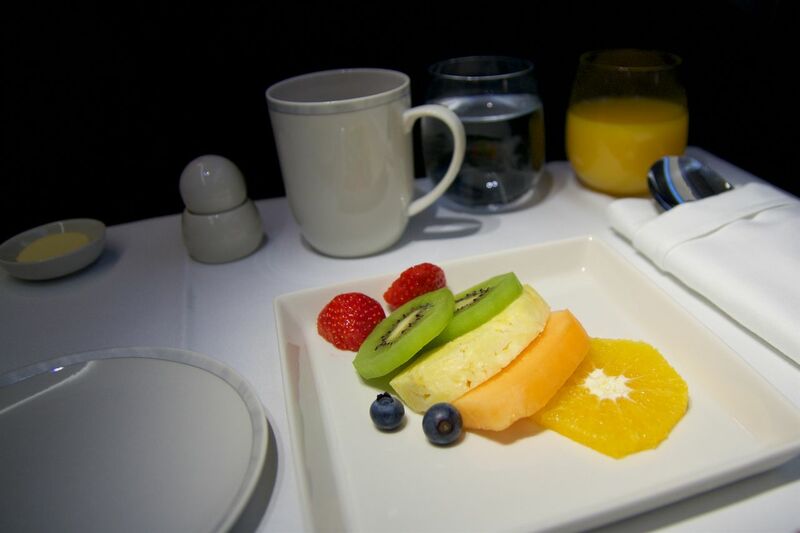 You may not get the best airline food in the world when ordering the vegetarian meal, but make sure you don’t get the worst. 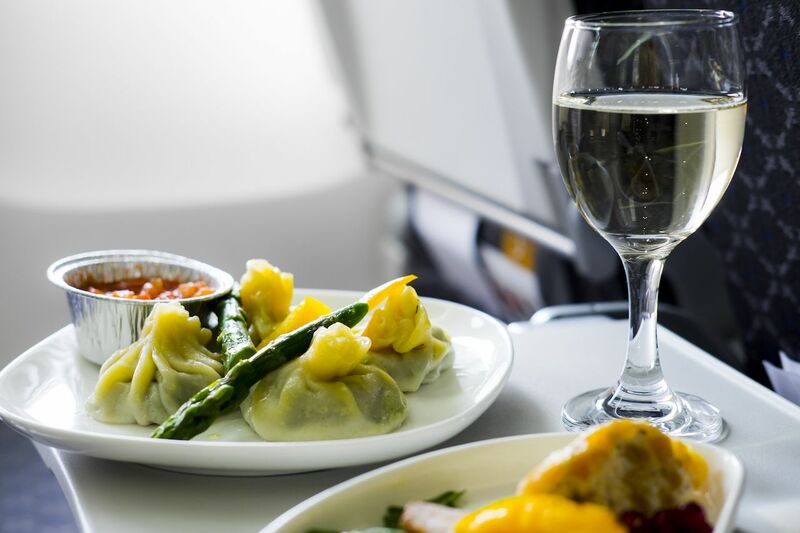 These are the most (and least) vegetarian-friendly airlines ranked from best to worst based on the availability of vegetarian and vegan options (not necessarily the quality, but having a wide variety of options is usually a great sign). Don’t forget to order ahead of time. Information gathered from airline websites, Alternative Airlines, and Happy Cow.